In a unique setting, the hotel Le Pré Saint Michel welcomes you with warmth for a weekend of charm and discoveries in Provence. Amidst olive trees and lavender fields of Provence, this charming hotel in Manosque is ideal for a weekend relaxing, rejuvenating and culture. In the heart of the natural park of Luberon, Le Pre Saint Michel is located in the unique setting of the Provence and invites you to discover the charming villages of the surrounding nature. On your next visit to Provence, discover this charming hotel in Manosque and stay in one of its beautiful rooms decorated in the spirit of Provencal houses. Discover the unique landscape of the South of France and the villages of Provence staying in this cozy hotel perched on the heights of Manosque. Feel the rhythm of Provence and enjoy a moment of rest and relaxation for a weekend in the sun Manosque. 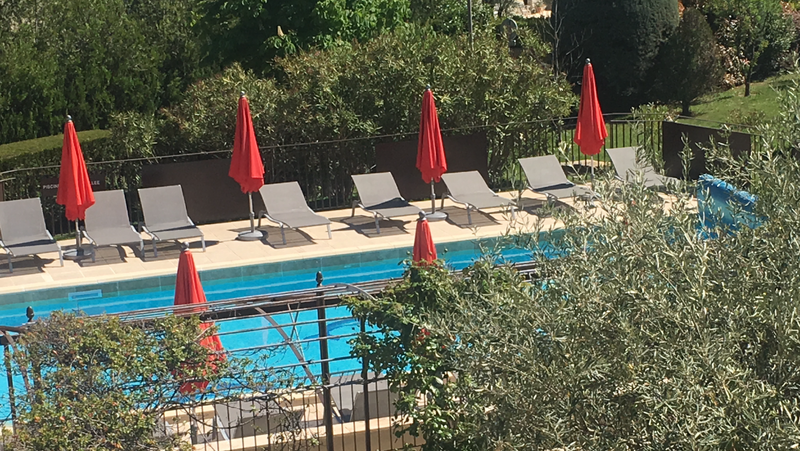 Le Pré Saint Michel Manosque invites you to enjoy the tranquility of its surroundings and the tranquility of the pool for a relaxing stay in Provence. Come escape to your next weekend in the middle of the wilderness and unspoilt Provence and discover the hotel, swimming pool, garden ... For a weekend exotic and relaxing in Provence, this 3-star hotel invites you to taste the cuisine of his restaurant in the heart of the beautiful landscapes of the region.